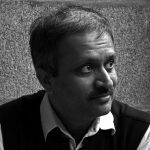 Rajan Rawal is a faculty member at CEPT University. He teaches energy efficient built habitat, energy modelling, energy policy at postgraduate level. His work emphasis is on ‘energy performance of human habitat’ and ‘architectural science education’. Presently, He is Executive Director of “Centre for Advanced Studies in Building Science and Energy” (CARBSE) at CEPT University. Prof Rawal led Indo-US Joint Clean Energy R & D Centre – Building Energy Efficiency Sector, and presently leading one of the project under Indo-UK project on Energy Demand Reduction and Mission Innovation challenge on heating and cooling in buildings from India side. He Is one of the administrators of Global Cooling Prize. He is a member of International Energy Agency task 69 on low energy buildings, task 79 and task 80. He is senior expert nominated at Global Building Performance Network. Prof. Rawal is a member of various technical committees of Bureau of Energy Efficiency, India, National Building Code, IGBC and GRIHA. He is a founder member of India Chapter of International Building performance simulation association (IBPSA) and serve as Chair of Education at IBPSA World Executive committee. He serves as an executive committee member and board of management at several philanthropic and non-governmental organizations. He is part of editorial board of two leading journals and has several research papers, book chapters and projects to his credit.